Berger Rental Communities was established in 1972 by the Berger brothers, Jim and Steve. In four decades, what had started as management of their single 42-unit community in Havertown, PA grew into a recognized property management organization in the Pennsylvania and Delaware multi-family housing industry. Berger has expanded into larger residential communities, student housing, and new luxury construction, but always maintains the fundamentals that shaped the company from the beginning, and a focus on its people. Brian brings experience in marketing and real estate to Berger Rental Communities, ensuring that the communities can be easily identified as great places to live and work. He oversees all online endeavors, lead flow management, and company branding. Brian enjoys working with the entire Berger team in order to convey the right look and feel of each community and ensures they are appealing to people who are looking for a new home. Part of this involves making sure Berger is a company that is easy to do business with, from the initial information gathering, up through their time as a resident. He also takes pride in developing strategies with the onsite teams to increase exposure for their communities. “The Berger Way,” which is the fundamentals that define the company’s culture, is what drew Brian to work for Berger Rental Communities, and his responsiveness and concentration on marketing innovation are what helps him succeed. Brian has been married to his high school sweetheart since 2009, and they have two young children. They still try to find the time to travel when possible – even if it’s just a trip to a restaurant, so Brian can continue his journey as a wanna-be foodie. As the Area Manager for the Berger West region, Bryan spends his time traveling between his three communities in Bloomsburg, Mansfield, and Williamsport, Pennsylvania. Bryan’s focus is on providing exceptional customer service to residents and assisting in the development and training of his team members to be successful. Bryan enjoys the challenging aspect of “turn season” in student housing and being able to help at each of the properties in any way. At the end of the day, Bryan wants to create the best living experience for these three communities. 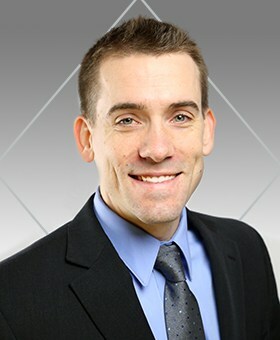 In his spare time, Bryan enjoys participating in local soccer leagues as well as hiking and is an avid Pittsburgh fan. We operate with a sense of urgency to get our things done. Chelsea currently oversees communities in Central PA including Berger’s first new construction community. She is a results-driven leader who believes that commitment to excellence and personal pride leads to success. Her goal is to impart that desire and drive to her entire team to ensure their success and thus the company’s success. Her favorite Berger Fundamental is “We operate with a sense of urgency to get our things done” because to her, customer service is paramount. Chelsea joins Berger with 6 years of industry experience. She is actively involved in the Pennsylvania Apartment Association and currently serves as chair to committees in the PAA Central region. Additionally, Chelsea holds her PA Real Estate License and CAM designation. As an alumnus of the Penn State University, she enjoys all things Penn State. During football season you can find her at Beaver Stadium cheering on her alma mater. We operate with a sense of urgency to get things done. 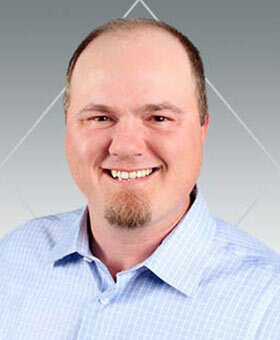 Jay brings 18 years of experience in the multi-family industry to the Berger team. Through his career, Jay has held each of the onsite office positions as well as serving 8 years in a regional property manager role. Short of being a professional athlete, Jay considers his role with Berger, to be his “Dream Job”. Jay feels that the company culture at Berger is second to none, and is grateful to be able to bring new talent to the team with each role that he fills. He loves spending time with his wife and 3 children, and lives each day to the fullest. In their spare time, Jay and his wife love to travel, and are huge DC sports fans, as rough as that may be at times. Jay considers fundamentals 1 and 21 as the bookends that hold the company together. We’re a family and we have fun. If you have those two things going for you as an organization, everything else will fall in to place. Jay is thrilled to be a part of the Berger Family, and looks forward to being a part of the growth ahead. 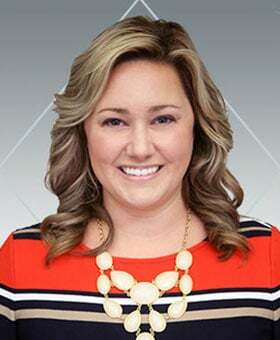 Erin joined Berger Rental Communities in 2013 as the Leasing Consultant at Toftrees Apartments. After several promotions at the regional level she joined Berger’s Home Office as the Director of Training. 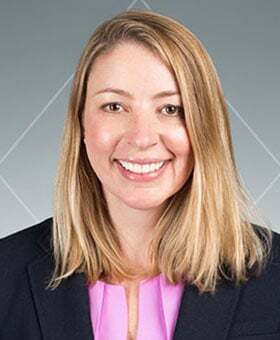 Prior to coming to Berger Erin spent several years working in the mental health field after receiving her bachelor’s degree in Human Development and Psychology from Penn State University. Erin enjoys spending time with her husband, daughter and dog. As a family they love to travel, hike, and cheer on Penn State athletics. Jacklyn currently oversees a portfolio including Berger’s Boothwyn and Delaware communities. She is committed to continued growth and operational excellence through high standards and teamwork. She believes in providing the tools needed for success and promoting from within whenever possible. Jacklyn has built a professional reputation around leading struggling communities to success. 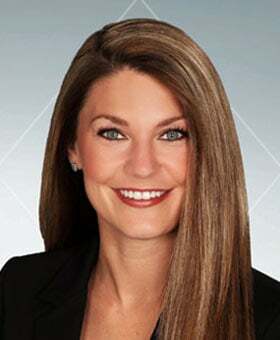 Jacklyn joins Berger with 10 years of industry experience spanning four states, which include Pennsylvania, Delaware, Virginia, and South Carolina. She has worked for companies including Greystar, Riverstone Residential, and MAA. Additionally, Jacklyn holds her notary public and CAM designation. She spends her free time with her two dogs and husband, and enjoys reading and traveling. Zach serves as the Regional Service Manager overseeing a portfolio of 11 communities from West Chester, PA to Frederick, MD. His focus is on developing and empowering the service teams to provide excellent customer service to our residents. His favorite Berger fundamental is “We promote collaboration and teamwork” because he believes that if you take pride in your work the results will prove our commitment to excellence. Zach brings over 15 years of industry experience to Berger, from on-site supervising to overseeing renovations and development. Zach holds a CAMT through NAA, his EPA, and CPO. He spends his free time with his wife, their two children and their yellow lab, Cooper. Zach enjoys playing music and spending time outdoors. Ryan currently oversees a portfolio of eight communities totaling just under 1,400 apartment homes, which span from Allentown to Ardmore. 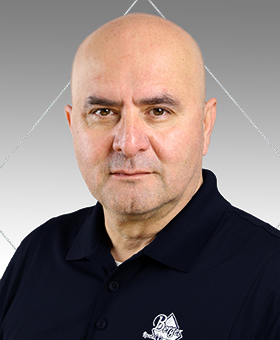 He is committed to operational excellence and customer service through high standards and teamwork. Ryan lives by the quote, ‘Tell me and I forget, teach me and I may remember, involve me and I learn’, and enjoys working alongside his teams. 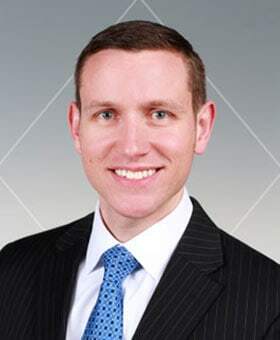 Ryan joins Berger with over 18 years of industry experience spanning three states, which include Pennsylvania, Virginia, and South Carolina. 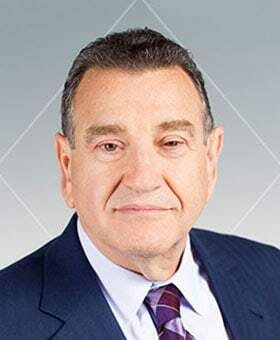 He has worked for companies including Greystar, Drucker and Falk, and Colonial Properties Trust, with experience in new construction, renovations, urban, and suburban communities. Ryan holds a CAMT through NAA, his EPA, and CPO. He has won Maintenance Supervisor of the Year with both the Charleston Apartment Association and Greystar. He spends his free time with his two dogs and wife and enjoys traveling. Emily serves as the Berger Rental Communities Regional Property Manager for West Chester, overseeing six communities. Emily is responsible for managing the daily operations of the communities and ensuring that each property provides excellent customer service. Through leasing and marketing efforts, she leads her staff to achieve retention and occupancy goals for each community. Always one to seek out new challenges, Emily also heads the Chester County renovation team, which in 2015 reached their goal of completing one apartment renovation each week in the region. 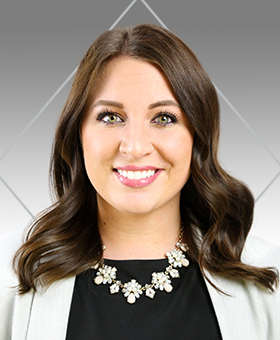 Emily brings experience in commercial real estate to Berger, having worked in lease administration for commercial shopping centers. She also has over 10 years of residential real estate sales experience. Emily’s combination of experience, dedication and ability to make work fun helps her fulfill her favorite fundamental: “always doing the right thing” on behalf of Berger and Berger’s residents. West Chester is not only where Emily works, but also where she makes her home. Outside of work and in between attending her kids’ basketball games, she enjoys spending time with her family and exploring what’s new in the borough. Her knowledge of the area helps fuel her passion for bringing people to live at Berger’s West Chester properties! 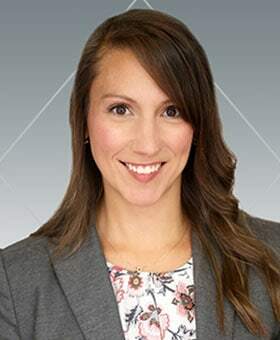 Nicole serves as Regional Property Manager for the Berger Central Region, overseeing daily operations at multiple Pennsylvania and Maryland communities. Her focus is on empowering her team to always reach for the next level, to strive to be better each day and to provide the guidance, support, and resources necessary to make living and working at a Berger Rental Community a truly memorable and positive experience. Her favorite Berger Fundamental is “We promote continuous improvement in all that we do” because she believes that learning and development are lifelong endeavors. 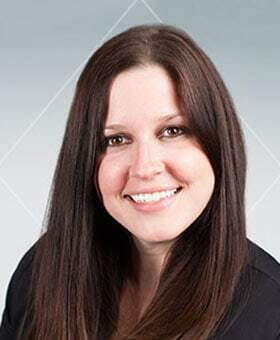 Nicole joins Berger Rental Communities with over 12 years of industry experience. 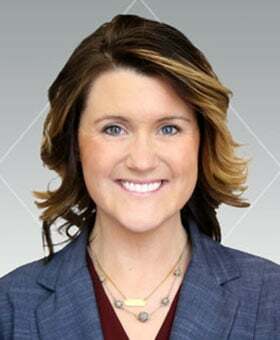 She is actively involved in both the Institute of Real Estate Management and the Pennsylvania Apartment Association, serving as an Executive Committee member to the Central region. In her spare time, Nicole is inspired by the arts, spending time outdoors, and being an active mom to two fun-loving boys. Andrea has a very successful track record as both a Community Manager and Regional Property Manager. Her focus is on customer service, leasing and resident retention. Andrea believes in giving her team the training and development necessary in order to be empowered to succeed. Her responsibilities at Berger are overseeing multiple communities in and around Montgomery County, PA and extending down to Delaware. Originally from Michigan, she is an avid Michigan State fan and loves cheering on the Spartans during basketball and football season. Andrea is a self-proclaimed lover of all things competitive and is driven to succeed by that competitive spirit! She loves spending time with her children, husband, and friends and has a huge heart for dogs. Nathan’s job as the Director of Capital Improvements allows him to work with vendors and subcontractors outside of Berger Rental Communities in his efforts to renovate new acquisitions so they can be offered to renters as soon as possible. His work includes ensuring projects are completed on time and within budget, as dictated by the property investment and needs. He is currently helping Berger with their overall goal of doubling the size of the company and the renovation of nearly 5,000 units in the next 5 to 7 years. Nate has been very impressed with the sense of family and community in the Berger office. He appreciates the fact that no one is ever alone: you can reach out to anyone for backup. He stepped into a role that is a key necessity for the company and is eager to make each new Berger unit feel like home. 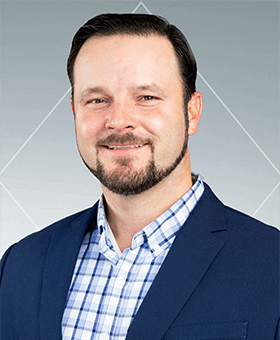 Nate can be considered a straight-shooter in several ways: while his respect for honesty and transparency is essential to his role at Berger, he’s also an avid hunter, fisher, and golfer. As Berger West’s Regional Manager, Katherine’s focus is on balancing Berger offerings in both conventional rental housing and the student communities. While based in State College, Katherine oversees properties in Altoona, State College, Williamsport, Bloomsburg, York, and Mansfield. The large student population at her communities requires unique marketing techniques, good relationships with university personnel, and great customer service skills to provide everything the conventional and student populations want and need. Katherine believes that one key to success at Berger is finding your niche and using your skills to help fuel growth. She is contributing to that goal by living the Berger fundamentals and promoting them within her team by trying to make Berger the best place to work – and the best place for residents to live! She strives to provide exceptional customer service to not only our residents but our team members and business partners as well. Katherine is lucky to be serving Berger Rental Communities in her hometown, State College since she is a Penn State graduate and an avid Nittany Lions fan. 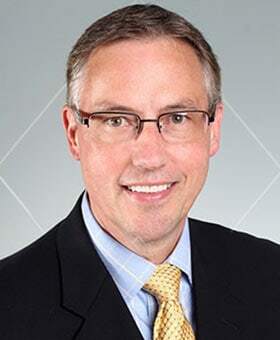 Bill comes to Berger Rental Communities to serve as the Chief Operating Officer. His main focus is to ensure that the leasing/management teams are working in harmony with the service teams to provide an amazing experience for everyone that calls one of our communities “home” or is considering one of our communities for their next home. Bill has more than 20 years of experience in the industry, but rather than relying on past experiences to guide his decisions, he loves to explore new ways of improving the experience for both our residents and our team members. A baseball fan his entire life, Bill is often found in a stadium somewhere watching America’s pastime as a means of relaxing. He is also an avid runner and a self-proclaimed wizard in the kitchen. Wayne comes to Berger Rental Communities to serve as Director of Acquisitions and Asset Management. 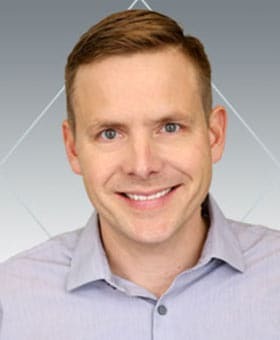 He is responsible for all aspects of asset management and has been charged with developing and implementing strategies that will maximize the performance and value of the company. Wayne’s responsibilities include investment management, capital planning, acquisitions, dispositions and monitoring the physical and financial condition of the existing portfolio. He is focused on helping the company achieve its strategic growth and operational improvement initiatives. 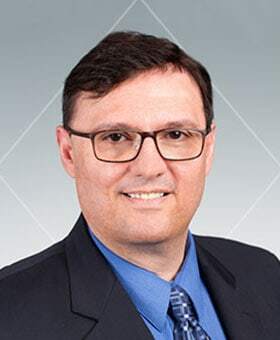 Wayne earned a degree in finance from the University of Connecticut and has held positions in property and asset management for over 15 years. He joined Berger Rental Communities in 2017 after leaving Philadelphia-based Pennrose Properties where he established an asset management department and platform to keep pace with the organization’s growing portfolio. Prior to Pennrose, Wayne was Director of Asset Management with Philadelphia-based PRG Real Estate. At PRG, Wayne was responsible for revenue management, acquisitions and implementing investment strategies including managing over $35M in capital improvement projects across the Mid-Atlantic and Southeast. Outside of work, Wayne enjoys spending time with his wife, three children, and Great Dane. He is also passionate about having a healthy and fit lifestyle. As the Chief Financial Officer of Berger Rental Communities, Mike is responsible for overseeing the financial transactions of the company. 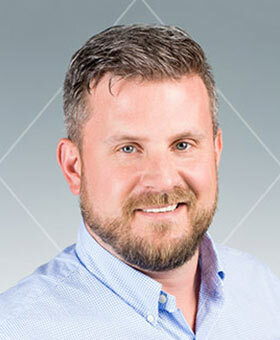 Since joining the company in 2008, Mike has seen and participated in the substantial growth of the company. Primary responsibilities include budgeting, contract negotiations, revenue generation, financial statement preparation, as well as the management of expenses, cash and purchases. Whether it is negotiating deals to reduce expenses or making sure vendors get paid on time, Mike works to ensure all Berger Rental Communities properties have ample resources to create great homes for residents. He is passionate about making all the communities full of satisfied residents. Mike’s proudest achievement is the impact he has been able to make on the financial and operational growth of the company. Improved infrastructure and increased efficiency of the financial operations are critical to ensuring the company can continue to grow and achieve its full vision. He also appreciates the unique opportunity he has to serve the majority of the company’s internal and external customers. While away from the office, you’ll likely find Mike spending time with his family and traveling. He also enjoys listening to music and rooting for the Philadelphia sports teams. Dan grew up in property management and is happy to have found his home, and second family, at Berger Rental Communities. 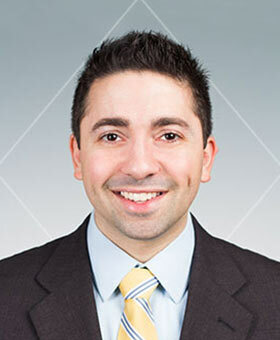 After earning his JD and MBA degrees from Temple University and being licensed to practice law in Pennsylvania and New Jersey, Dan returned to his real estate and property management roots because of his love of working with people. At Berger Rental Communities, Dan focuses on championing the company culture, building relationships, acquiring properties, ground-up development, securing financing, and setting the company’s strategic vision. 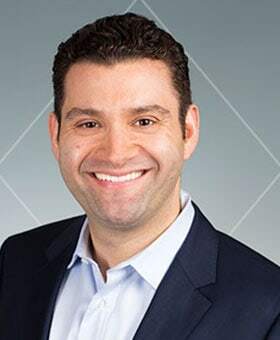 He was named a 2015 and 2016 Philadelphia Future 50 Winner by SmartCEO and was also a recipient of the 2016 Top 40 Under 40 Award from The Philadelphia Business Journal. Dan enjoys visiting the company’s apartment communities, interacting with team members, and speaking with residents. He strives to ensure that the company’s apartment communities are great places to live and that Berger Rental Communities is an outstanding place to work. Dan’s proudest accomplishments include overseeing the company’s growth, as well as the achievement of record-highs in both resident and employee satisfaction. While not at the office or a property, you’ll likely find Dan spending time with his wife, Ashly, and their children, Isabella and Hudson. He also enjoys long-distance running and spending summer weekends on the beach of the Jersey shore.